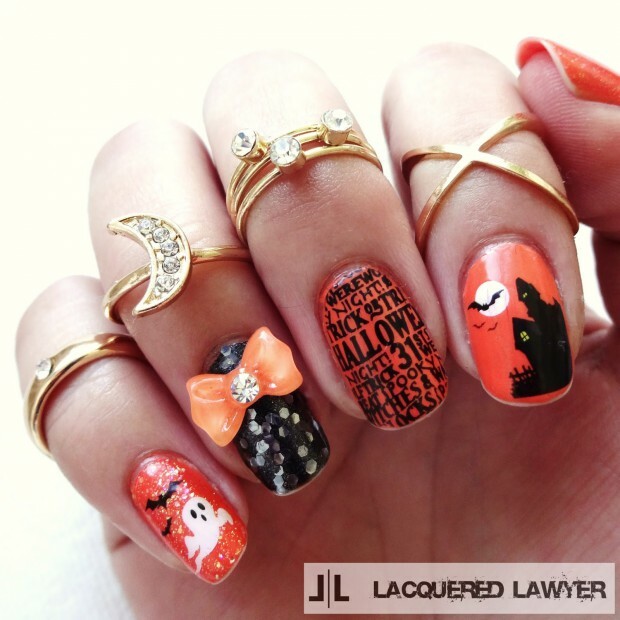 We’re counting down the days to Halloween. 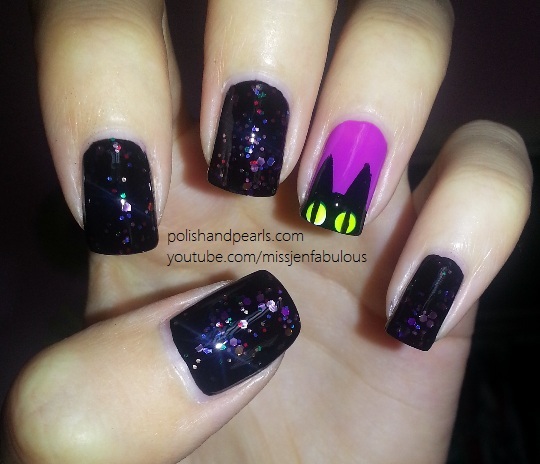 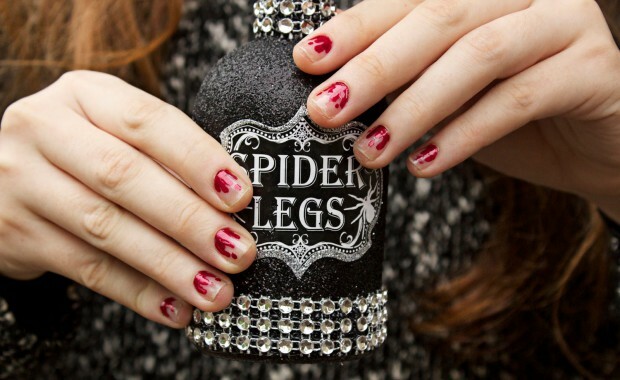 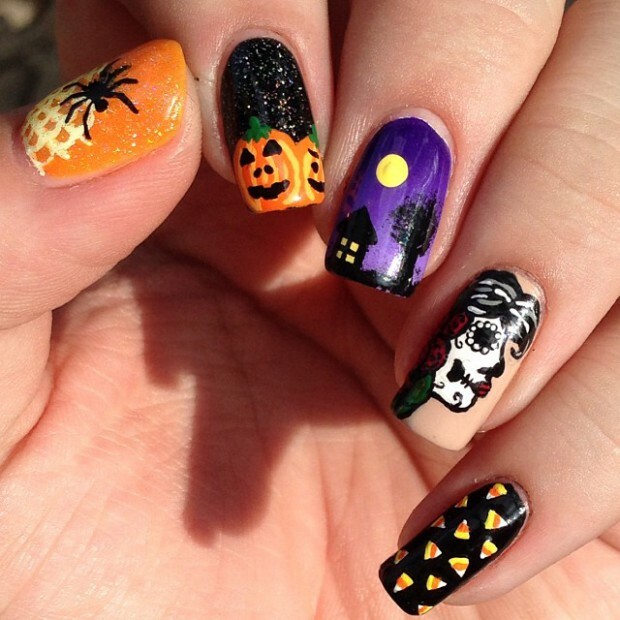 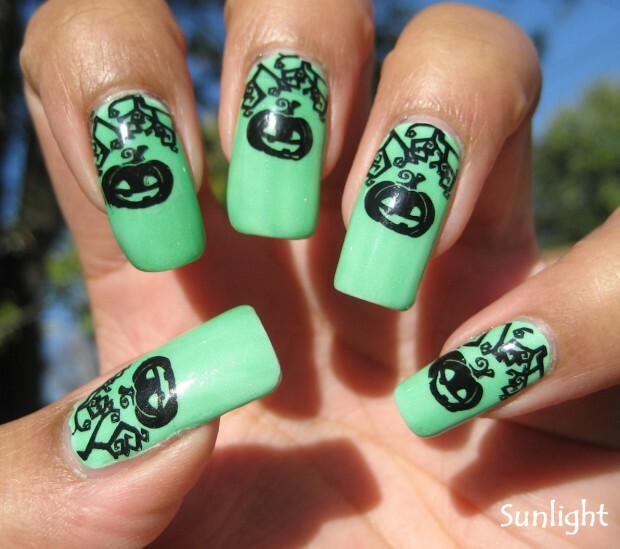 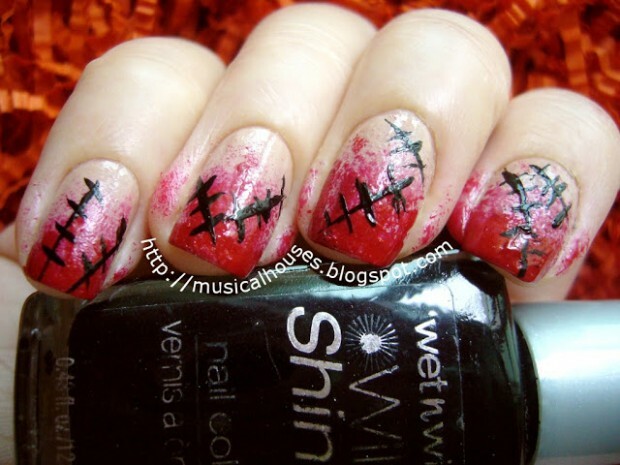 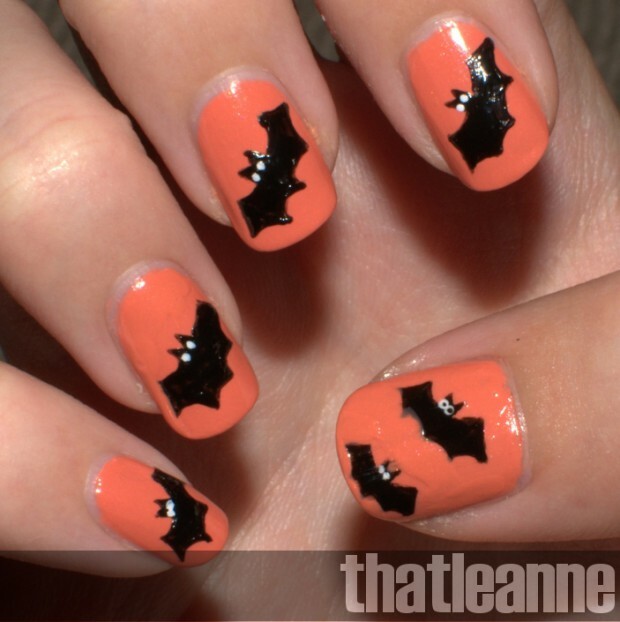 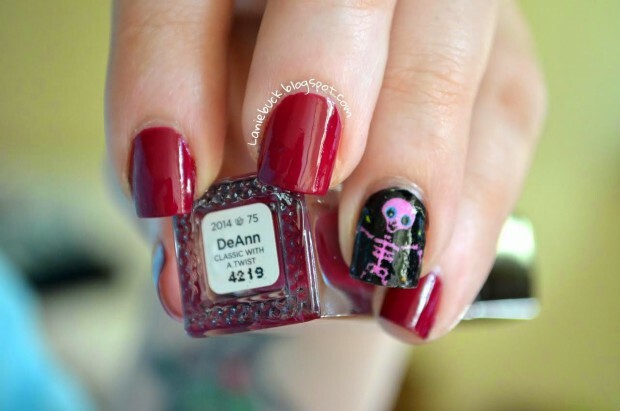 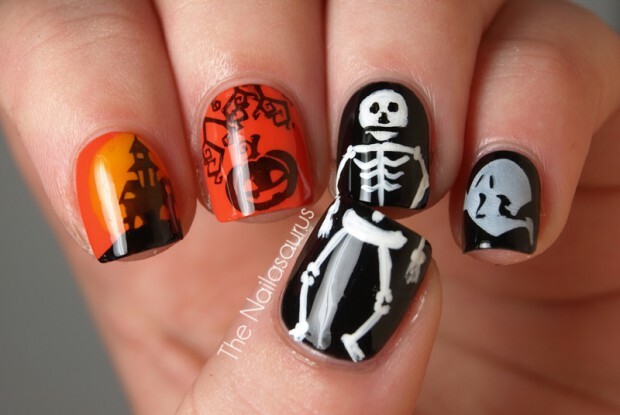 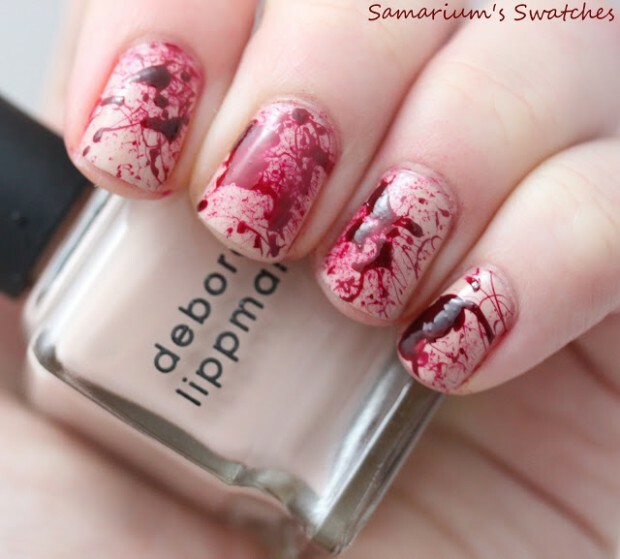 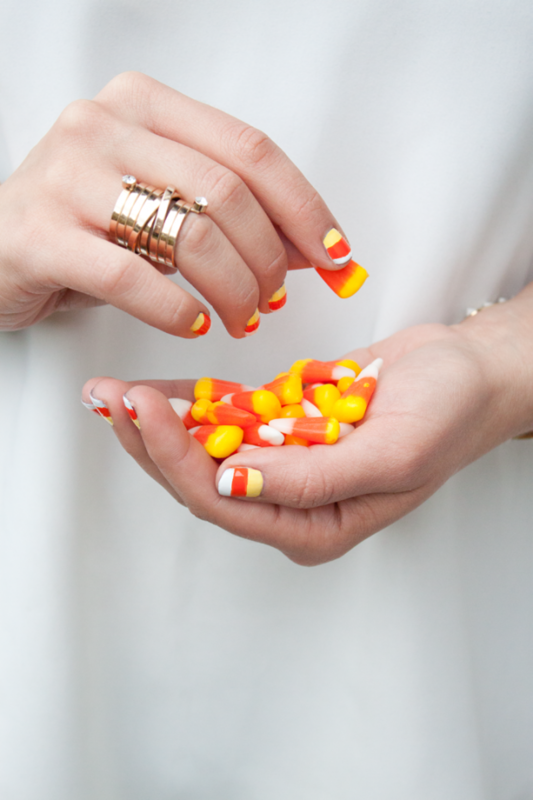 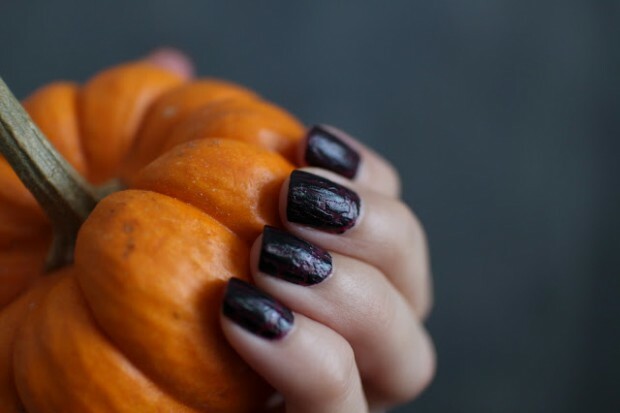 No holiday inspires the nail art world like Halloween. 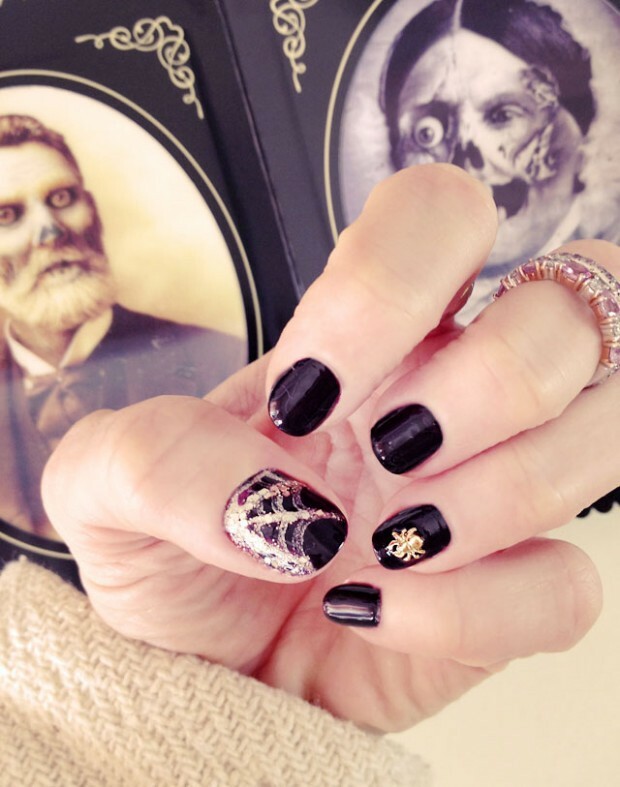 Whether it’s tiny renderings of horror movie villains, nails painted to look like zombie claws, or a 3D press-on set called “fierce black cats and brains on crack,” there’s plenty of scary — and scarily elaborate — Halloween nail art out there. 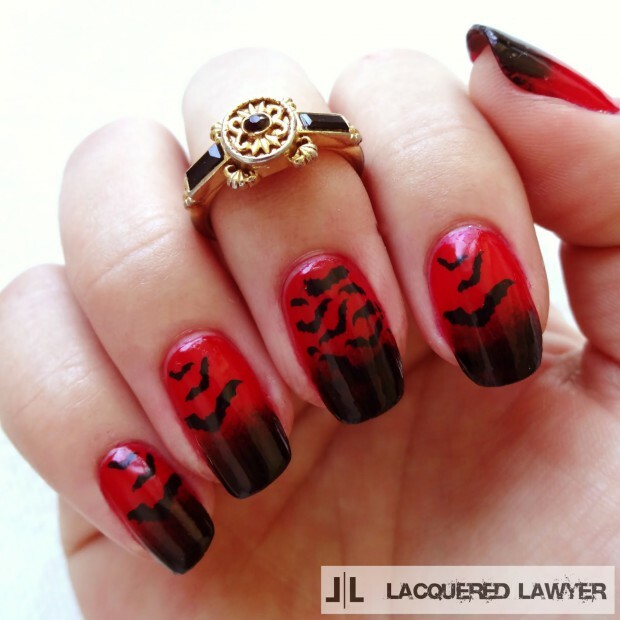 Since we know you love nail art as much as we do, we’re sharing the love and we’ve spent longer than we’d like to admit scouring the web for the best examples, and our 17 favorite designs are below.